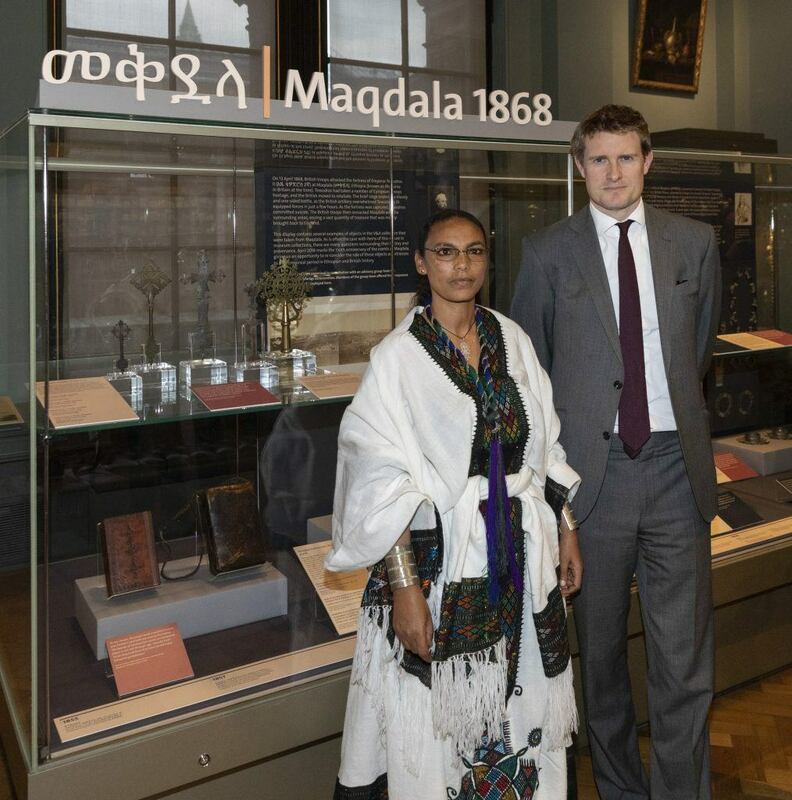 Her Excellency Dr Hirut Kassaw, Ethiopia’s Minister of Culture, Tourism and Sport, made her debut visit to the United Kingdom in March, visiting cultural institutions and museums. Heading a delegation which included H.E. 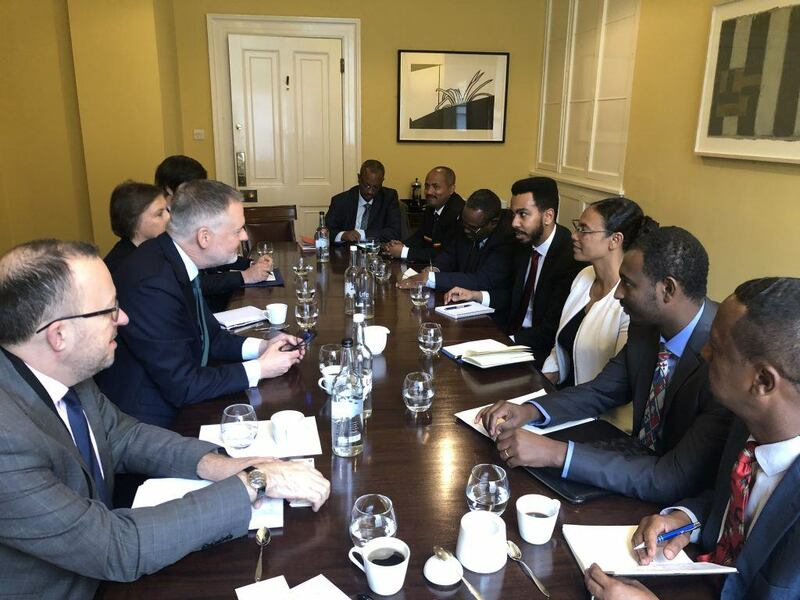 Ambassador Fesseha Shawel, the Director of Ethiopia’s National Museum, Efrem Amare and advisers from the Ministry of Culture, the packed 4-day schedule included visits to the British Library, the British Museum, the Victoria and Albert Museum and the National Army Museum. The Minister also held meetings with the Canon of Windsor and representatives from Visit Britain. 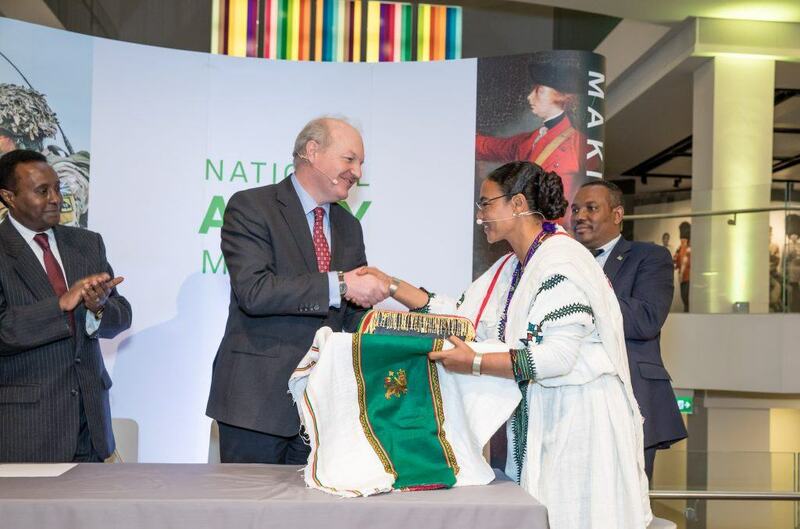 An historic ceremonial hand-over of locks of hair belonging to one of Ethiopia’s most popular Emperors – Tewodros II – took place on 20th March at the National Army Museum in London. Ethiopians, friends of Ethiopia and the media gathered to witness the long-awaited return of hair, taken from the Emperor after he heroically committed suicide rather than be taken prisoner by the invading British army in April 1868 during the battle of Maqdala. On behalf of the People and Government of Ethiopia, H.E. Dr Hirut Kassaw, received the human remains in a box draped with the Ethiopian flag from the Museum’s Director, Brigadier Justin Maciejewski DSO MBE, with the crowd ululating in jubilation. A welcome ceremony for the locks of hair was held at the Ethiopian National Museum on 23rdMarch following the Minister’s return to the country. 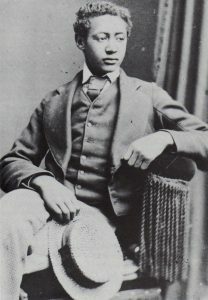 A day after the historic return of the hair, the Minister visited St George’s Chapel at Windsor Castle – the resting place of Prince Alemayehu, son of Emperor Tewodros II. The Minister laid a wreath of remembrance on the young Prince’s grave before observing a minute’s silence and prayers. Welcoming the Minister and her delegation, the Reverend Dr Mark Powell, Canon of Windsor, led the delegation through a tour of the chapel where they were shown a brass remembrance plaque dedicated to Prince Alemayehu, as well as the Coat of Arms of Emperor Haile Selassie I, observing his membership of the British Order of the Garter. In discussions that followed with the Canon, the Minister requested that the remains of Prince Alemayehu be repatriated to his homeland so that he could be reunited with his father’s remains and with the people of Ethiopia. On a visit to the British Museum the delegation was met by the Museum’s Director, Dr Hartwig Fischer and specialist Africa staff. The Minister welcomed the Museum’s offer to renew the previous relationship it shared with the National Museum of Ethiopia and extended an official invitation to Ethiopia to the Director and his team, to explore further opportunities for cooperation. During discussions, the Minister formally requested the return of 11 Tabots,Ark of the Covenant replicas, taken at Maqdala, that are currently in private storage at the British Museum as they can never be displayed. “The Arks act as spiritual anchors for the Ethiopian Orthodox Church and are more than just artefacts,” the Minister stressed, urging the Museum’s Trustees to act on the request so the Arks could return to serve Orthodox believers in Ethiopia as soon as possible. The Minister met with the Director of the Victoria and Museum (V&A), Dr Tristram Hunt and his team, to continue discussions on the return of Maqdala artefacts currently on display at the Museum. Dr Hunt expressed the sincere desire of the Museum to see these artefacts on display in Ethiopia soon, but noted, with regret, that the biggest obstacle to this was the present status of the law in the UK which prohibits restitution. Dr Hunt, however, committed to continuing consultations with the Minister, her team and the Embassy going forward on the return of these artefacts to Ethiopia. The delegation viewed the “Maqdala 1868” special exhibition, which opened in April last year, and continues until 30thJune 2019. 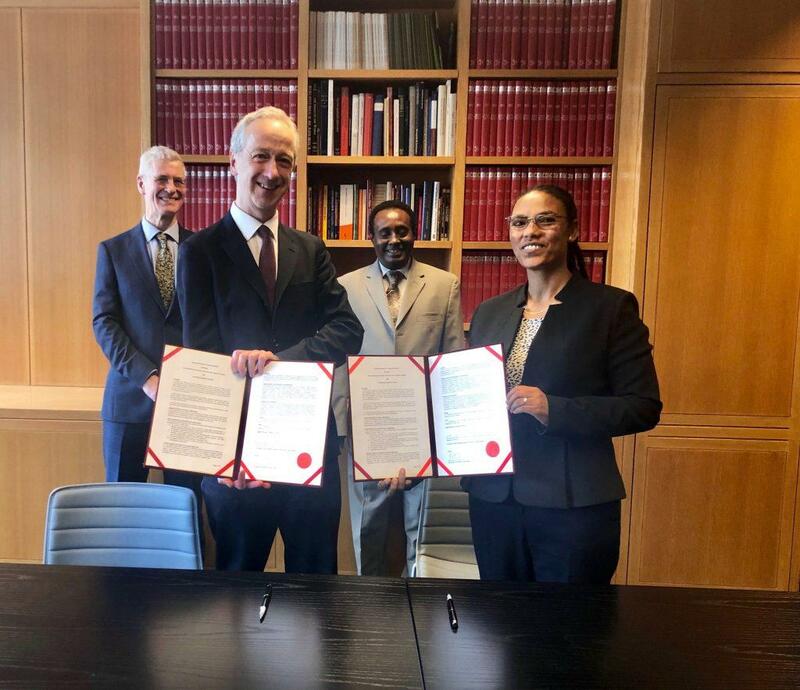 The Ministerial delegation was welcomed to the British Library by the Chief Executive, Mr Roly Keating and staff where they signed a Memorandum of Understanding (MoU) between the Ethiopian National Archives & Library Agency and the British Library, to foster greater collaboration, research, capacity building and knowledge exchange. The Minister welcomed the British Library’s decision to officially visit Ethiopia in May. While thanking the management for its decision to donate digitised images of Ethiopian manuscripts in their collection and microfilm readers to the National Library, she requested the return of these manuscripts, which were mostly taken at Maqdala. She stressed that the manuscripts could not simply be viewed as historic artefacts as they are sacred. 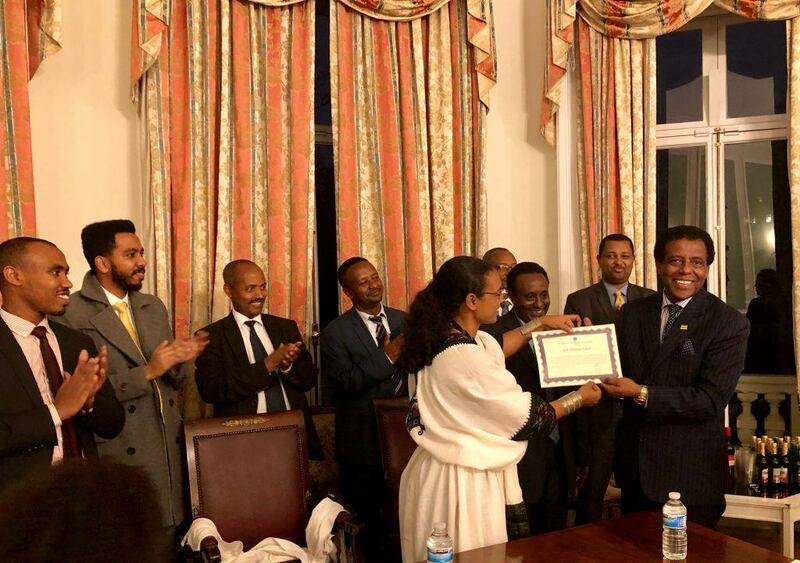 On the eve of her departure, Minister Hirut presented over 30 Ethiopian restaurateurs, from the Diaspora community in and near London with certificates of appreciation for their indispensable role in the promotion of Ethiopian culture. The Minister also recognised Alebachew Desalegn, a private collector of Ethiopian artefacts, as a Cultural Ambassador, applauding him for his commitment, perseverance and love for Ethiopia. For further information and press releases on the Minister’s visit, please visit our website at www.ethioembassy.org.uk/news.